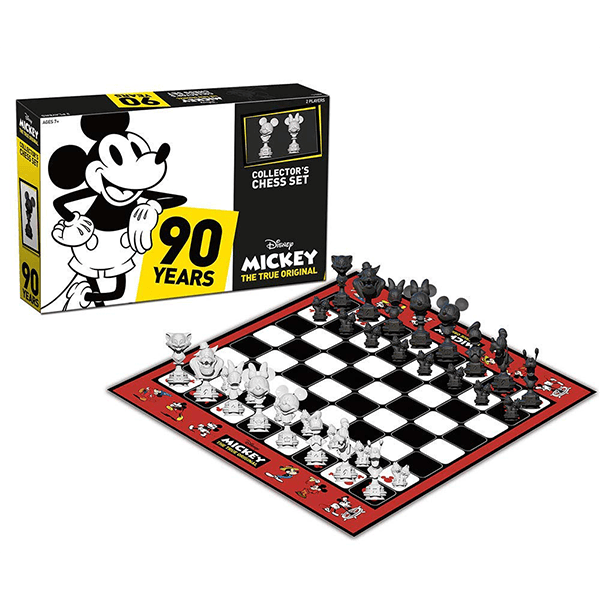 Shipping Dimensions: 18" x 12" x 4"
Celebrate 90 Years of Magic with Mickey, The True Original, in this classic chess set featuring universally known and loved characters from Disney’s timeless franchise! 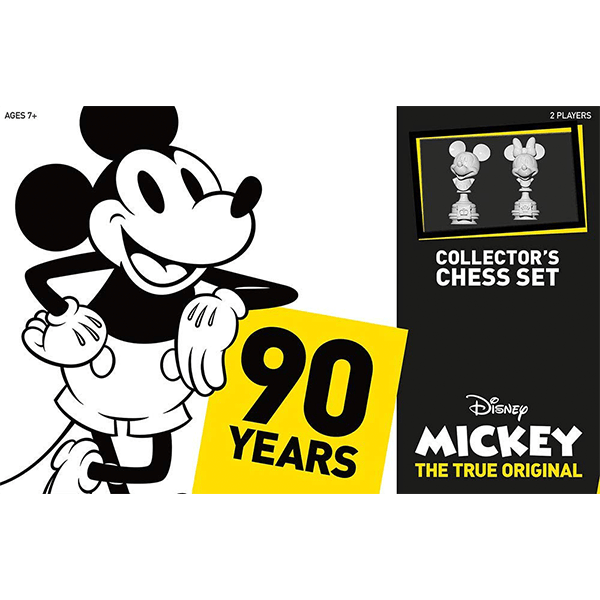 Mickey Mouse & Minnie Mouse, Donald Duck & Daisy Duck, Pete & Goofy, and more stand in familiar positions on the board for one player to overtake their opponent’s pieces, making Disney Mickey: The True Original Collector’s Chess Set fun to play for beginners and nostalgic for savvy folks! If You Liked Usaopoly Mickey Chess Set, See More Related Products Below!